Yarn: Gianna (South West Trading Company), a 50% Soysilk + 50% Wool blend. One ball each of black and purple. I decided to go back to the original and not get all fancy with the design. 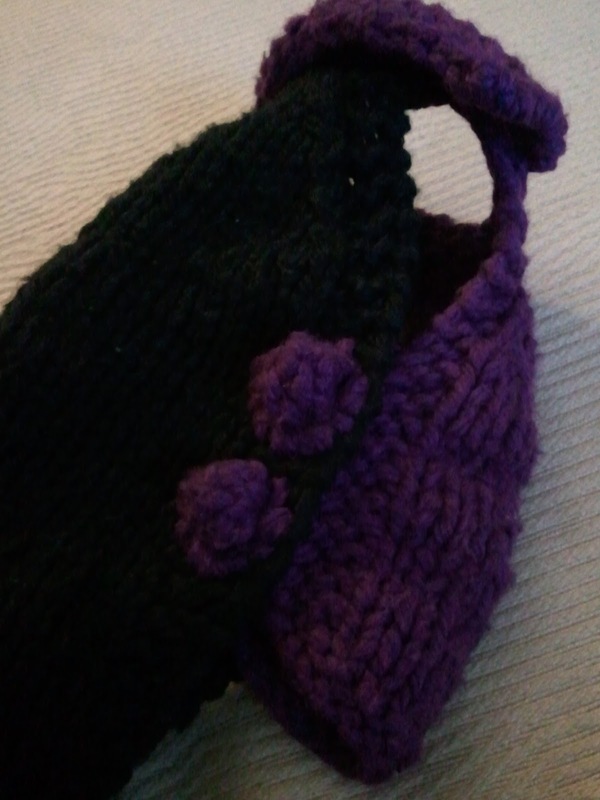 For this attempt I used some yarn that I received in a yarn swap years ago. I only had one ball of the black and one ball of the purple so I never really knew what to do with such a small amount. Initially I wanted to knit a black sweater but quickly found out that I was going to run out (she's such a huge dog, ya know?). 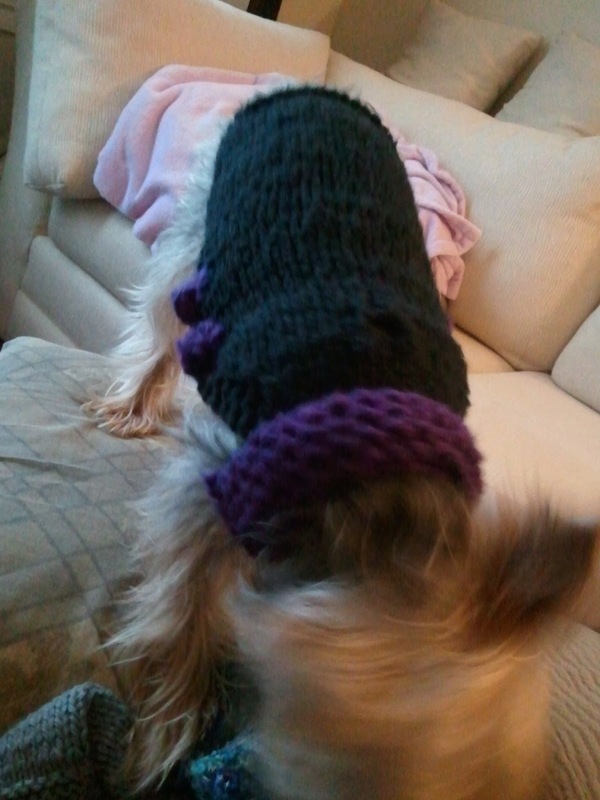 So I tried to get clever and used the purple yarn on the collar, bottom (ventral) body flap, and buttons. 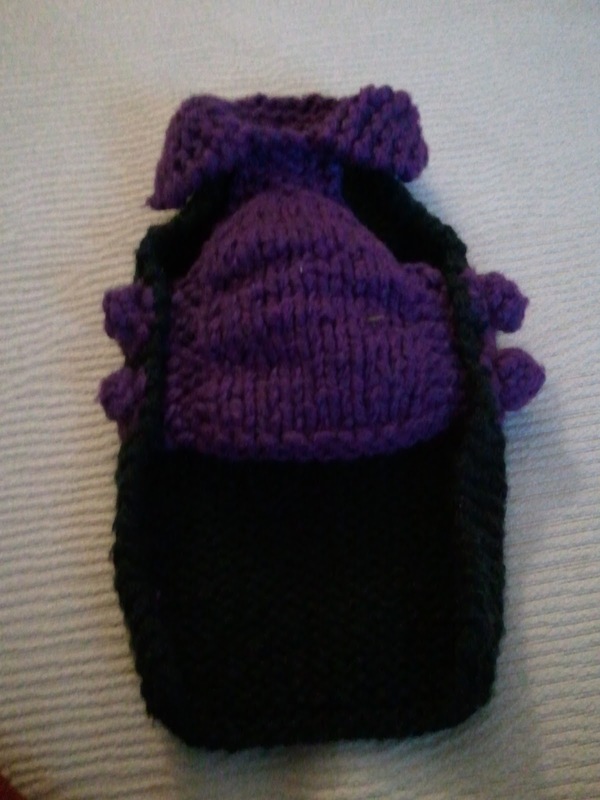 And I used the black yarn on the main (ventral) body part. 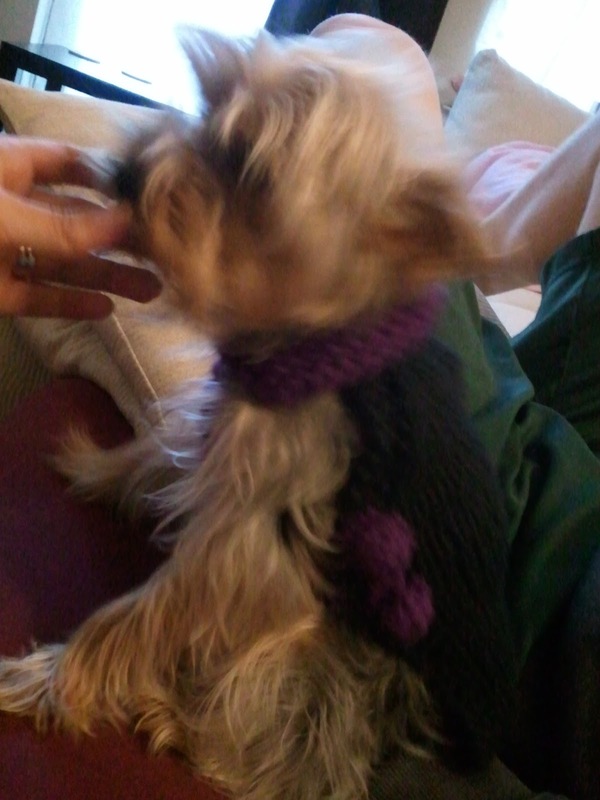 We've started calling this one her Blarple (black n' purple) sweater. This third try was actually a success. The yarn is heavy duty and does a nice job in keeping her warm, and especially perfect for wintry NH. And I've had many people complement the sweater asking where I bought it (or the pattern) so I find that as a huge success! Do you see a new career (or sideline) in your future? People will spend a fortune on their pets. You are inspired! !